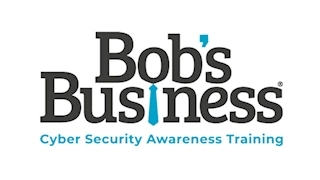 Bob’s Business is a cyber security awareness company on a mission to help you bridge the knowledge gap between IT and end users. Your team will be provided with engaging and memorable ways to keep your sensitive information secure. You shouldn’t be taking risks with your company’s sensitive information, and by aligning Bob’s Business’ awareness campaigns with your policies, natural behavioural change throughout your organisation will occur over a short period of time. Bob’s Business’ cloud-based training modules are clear and concise. Using relatable animations and stories, your employees learn the practical information security skills they need. With Bob’s Business you can be sure of a cost-effective, fully managed solution driven by a modular approach that aims to educate the end user in small steps, one module at a time. Having gained the ISO 27001 certification, you can trust that Bob’s Business understands the compliance requirements and how their solution can support your organisation in developing a secure culture. We reinforce ideas through a modular approach with learning resources designed to create natural behavioural change. Our animation style simulates reality in work-related scenarios on cyber security and compliance topics in a narrative structure making them more related to everyone. Our modules are clear and concise with a strong utilisation of humour throughout, making cyber security and compliance captivating. All of our modules are optimised for mobile and take no longer than 10 minutes to avoid taking up too much time.